I know it seems like the holiday season is way far away BUT who can believe it’s already September?! Where has this year gone? October is around the corner (yea, Halloween!!) and then quickly, before we know it, Thanksgiving, Christmas and Hanukkah will be here. So, with this in mind, here are my top Holiday gift picks from deBebians.com under $1,000… yeah, she deserves it! 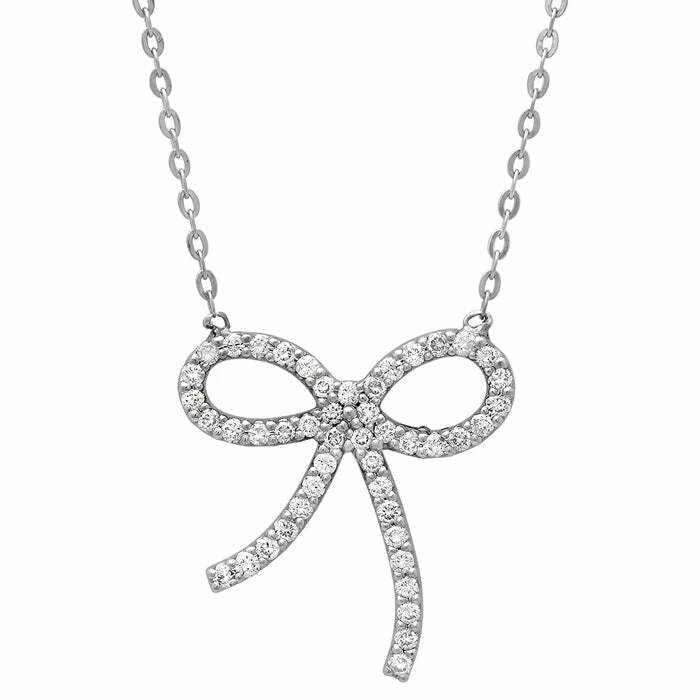 This super cute diamond bow pendant is adorable! It’s perfect for women young and old. The diamonds are G color and VS clarity so they will be super white and have tons of sparkle. You can maybe even skip the gift wrapping on this one… the bow is included! 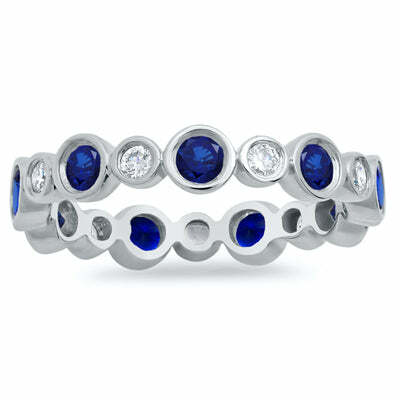 This alternating sapphire and diamond bezel ring is fabulous. I love how the sapphires and diamonds play off of each other and are also slightly different sizes. This is such a great ring to wear alone or stack with others. 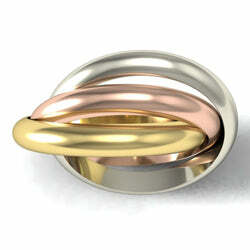 Our tri color rolling ring is a simple but gorgeous design. Perfect for every day wear, these rings roll perfectly up the finger for a very comfortable fit. I love the three different gold colors and how they can represent different things… past, present and future or even a mother and father welcoming a brand new little baby. Such a timeless gift! 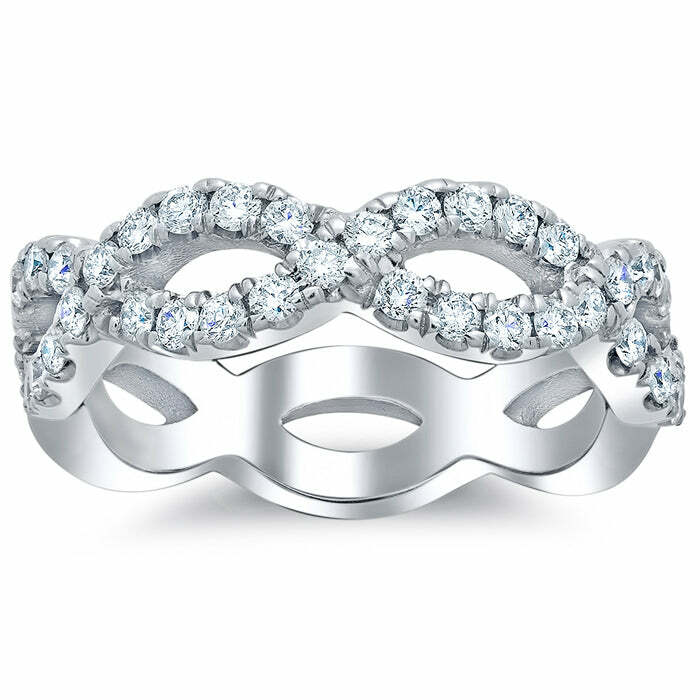 Our infinity twisting diamond ring can be a wedding band or a right hand anniversary ring. The diamonds do not go all the way around so this ring is easily sized (up or down two sizes would be fine). The great part about that is that you can buy the ring as a surprise and then size it afterwards if it doesn’t fit! You don’t want to blow your surprise!! Remember to consider jewelry for that someone special when you are thinking about gifts for this upcoming holiday season. These are only four of my tops picks up $1,000 but remember that deBebians has jewelry for any budget. Do not hesitate to call on us. We would love to guide you and help give you suggestions. I know the holiday season seems far away, but it’ll be here sooner than you think!